Do you know what I’ve noticed about most of my trials? There’s not so much pain in the trial itself, but in the fear of what the outcome might be. Reading Acts chapter 16, I was in awe of these men. After Paul and Silas were severely beaten, chained and imprisoned, they sang hymns to the Lord. Could I be that faithful? It’s so much easier to hang on to our misery and fear than it is to exercise faith. It’s easier to stress than it is to trust in the wisdom of God. That’s how most of us go through life. We wait until we’re at wit’s end before we cry out to the Lord. Here’s an interesting little tidbit: the term “wit’s end” originates from that verse in the KJV translation of the Bible. The problem here is that we’re waiting until our wisdom runs out before we choose God. God’s wisdom doesn’t always make sense to us. How could it possibly make sense when we can’t see the whole picture? God sees today, He sees yesterday, and He sees tomorrow. He sees the heart and the flesh, He sees the struggle, He knows what next year will bring before the sun sets today. What I found in our study this week is that men and women courageously followed God’s will, when it didn’t make sense. Paul and Silas found peace in the midst of their trial because they believed that God’s wisdom was greater than anything they understood to be true. Abraham was tested in a way that most of us couldn’t even begin to imagine, but he courageously followed God’s call. Not because it made sense to Him, but because He believed that God would make sense of it all–in His way and in His own time. And He did. What I started to notice about God’s provision is that He went ahead of them to prepare. Let that sink in for a minute. Consider how God is at work in Your own life. He goes before you to fight the battle before You even arrive. In Joshua chapter two, we see God’s provision again and again. He went ahead of the spies to prepare Rehab’s heart that she might hide and protect them. And then He provides for Rehab by keeping her family safe. But here’s the thing. If you don’t step out in faith–if you don’t take that courageous step to choose joy, to give up that thing God requires of you, or to obey the Word of God when it doesn’t make sense, you’re closing the door to His provision and power. AFTER they were severely beaten and thrown into prison, Paul and Silas sang hymns. One of the most difficult things we’ll ever do is choose joy in the midst of a trial. It’s so much easier to hang on to our misery and fear than it is to exercise faith. But faith gives us the opportunity to glorify God. Here we see Paul and Silas exercising their faith by remaining calm and choosing joy. Their faith was an incredible testimony that led the guard and his household to repentance. Sinners want to know how they can use God for THEIR benefit. Faith-filled men and women want to know how they can be used by God for HIS benefit. I noticed that Paul was going to prayer when his trouble began. “And it came to pass, as we went to prayer,..” The next verse tells us he was sharing the gospel. “…which shew unto us the way of salvation.” He’s doing all the right things, and trouble still comes. And how does he respond? “And at midnight Paul and Silas prayed, and sang praises unto God:…” I believe those that are praying and praising before the trouble will find it easier to pray and praise in the midst of trouble. Abraham was courageous. He was tested with the one thing that he held most dear in this world. That’s how testing often is. It calls us to obedience, whether is makes sense to us or not. The potential reward was far greater than his possessions ever could me. I was also reminded of the many times I’ve been called to sacrifice my relationships to follow my faith. sometimes god calls us to sever an unhealthy relationship or to stand up for your faith when unbelieving family comes up against you. Rehab’s faith is so courageous that she is mentioned twice in the new testament. It’s beautiful to see God using broken people to build His kingdom. Regardless of where we have been God can use us. She didn’t simply lie to a fellow neighbour or friend. She lied to the King which could have very well meant losing her life. The thing about faith is that we never see God’s providence until we step out in faith. Only then can we allow Him to work in our lives and open up doors we never expected to walk through. 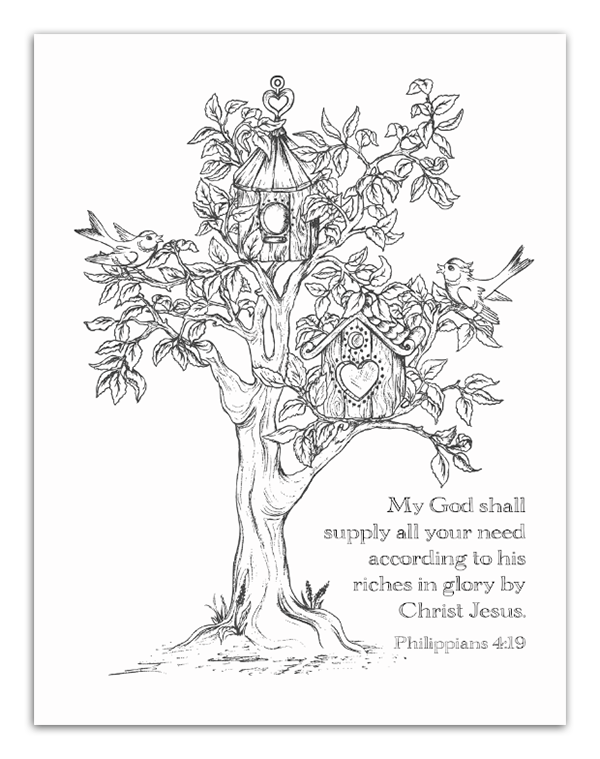 Click here for your new coloring page. Come back on Monday for another one! 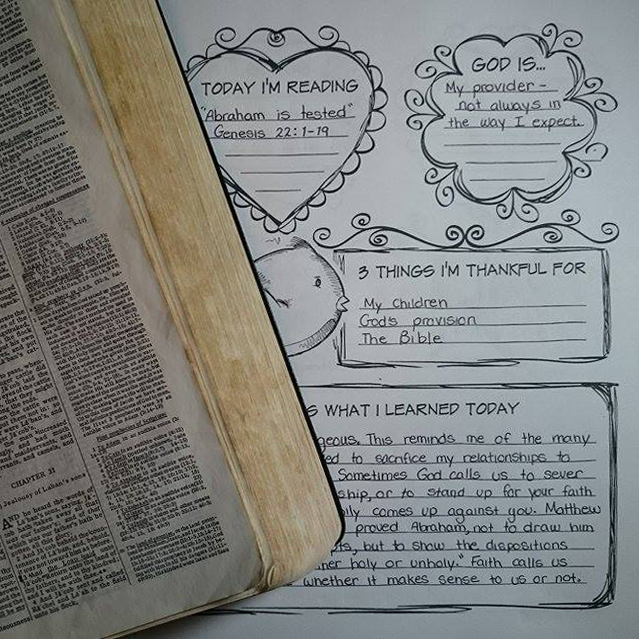 « Song of Solomon Marriage Prayer Series – and a Titus 2sDay Link-Up Party! I love this bible study. I am very new to all this but absolutely love this !! I am living this right now. I had emergency major abdominal surgery last week. It has been painful…still is. It has been lots of long sleepless hours alone in the hospital. It has been scary, humiliating, humbling. I am the main source of income in our family…and I can’t work right now. However…I know Jesus has been with me this whole time. I know he has calmed my cries…I feel His love…I feel His peace. Can you use the jounral to follow along with this? Yes, they are a good companion to them. LOVE – this site!! LOVE this study! This morning I was studying in Joshua 2 about Rahab and the spies. The Israelites are God’s chosen people and Joshua was their leader at this time. Josh sent two spies to check out Jericho. The spies went to the home of a prostitute named Rahab, a Gentile. Now Rahab had heard of the God the Israelites served and of the miraculous things He brought them through and she had no doubt that this God of theirs was The One True God even though it wasn’t what she was taught or knew personally…she just KNEW their God was Lord of the heavens and the earth. The king of Jericho found out the Israelite spies were hiding in Rahab’s home and sent his men to get them. Rahab hid the spies (thus endangering her own life) and asked them to spare her and her families lives when they attacked. Long story short, the spies agreed and safely escaped and when Israel attacked Jericho, Rahab and her whole family were spared. What struck me is that there are 2 definite sides here, Israel and Jericho. One was God’s chosen the other not. What I love about this is that God chose the heart. He saw past this woman’s occupation, a prostitute, and saw her heart…her faith and belief in a God she wasn’t taught but knew in her soul was The God. And so I am reminded that it doesn’t matter my past, mistakes, failures…God sees through and over that and sees me, really sees me and knows me and regardless of what reputation I have He loves me completely. He already died for the sins I’ve committed and the ones still to come…still He loves me! And the same goes for You too…He loves you unconditionally! I’m so thankful I gave my heart to Him! I am thankful that He has saved me, imperfect and blemished, but through the cross and the empty grave I am cleansed and set free…mind you a work in progress this side of heaven but a forward moving progress! I am so thankful that God doesn’t chose sides, He choses the heart! 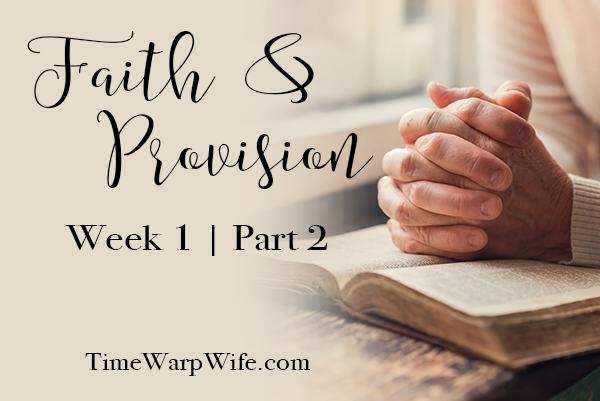 Re: Faith & Provision – Week 1: Where is Part One? You can find the table of contents here. It’s also part one. 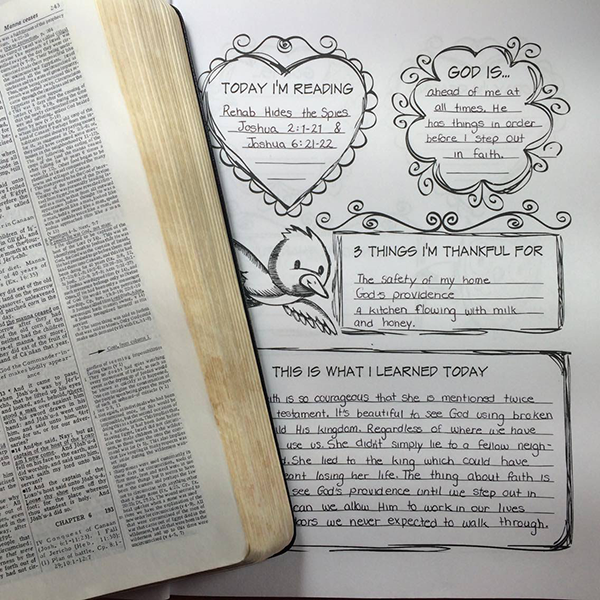 My mom just ordered the ” Quieting Your Heart” 6-Month Bible-Study Journal, for four of us girls in the family. I’m very excited to get in the word of god and strengthen my walk and knowledge. The only thing is I don’t know where would be a good place to start? I looked at the bible studies on here and really don’t know where to start. I’m 20 years of age and I need something to read that helps me stay on the right path with pretty much a lot that girls my age are going through in life. such as relationships, family, friends, and what I should do to make my heart happy. I want to feel that fire in my heart I once had with my walk with god! Look forward to hearing back from you and getting started! Shelby, we just started a brand new Bible study, you can join us if you like. I would suggest starting where we are and catching up on the other days at the end. We are currently at the end of week one. 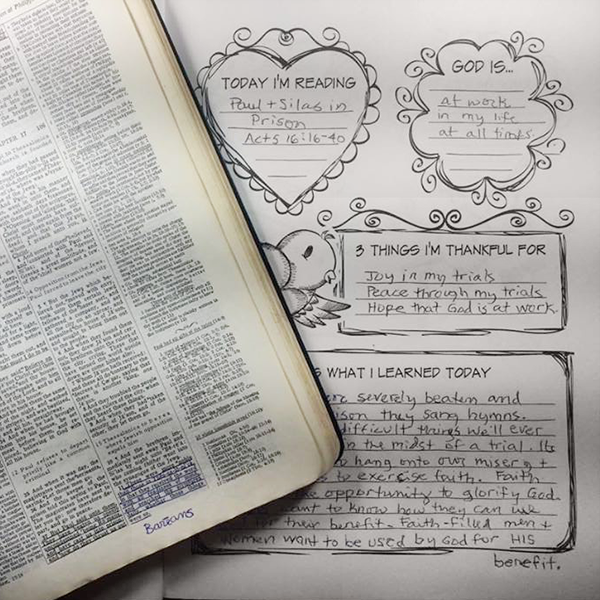 The love study is also awesome!! Here’s a link to the intro page. Print off the study guide and start doing the lessons on Mondays, Wednesdays and Thursdays. The guide will help you get a better understanding of it all.